I woke up Friday in quite a bit of pain. Clearly my brilliant plan of having a Negroni after 2 bottles of wine had not exactly helped. The cumulative wear and tear was starting to getting to me too and next thing I knew it was noon. Damian informed me that the office visit had to be canceled due to a family emergency. That gave me a much needed reprieve, and I dozed off again. I spent the next few hours in a state of semi-consciousness but eventually rallied to go explore my new surroundings. I had made a reservation at a wine tasting place called Vines of Mendoza, which specialized in small boutique vineyards in Mendoza and could also ship to the US in case I wanted to get some bottles. It was once again fairly hot but the lack of humidity made it tolerable. 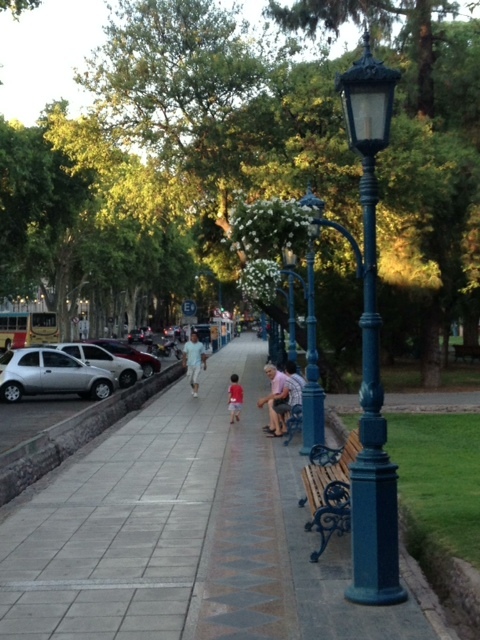 Across the street from the hotel was the very attractive Plaza Italia, which given it was 7PM, was full of people talking early evening strolls. 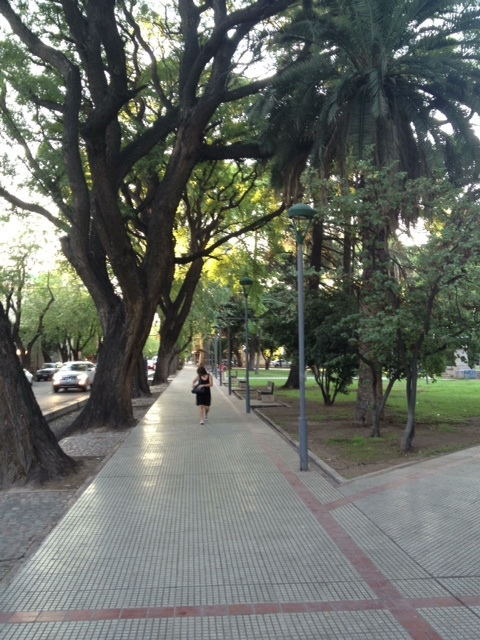 The city is very attractive, streets lined with massive trees and clean. 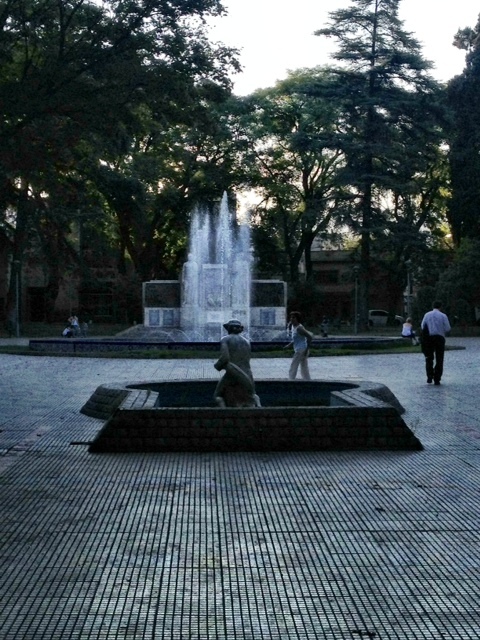 There are large and very inviting plazas and parks. I was still getting over the culture shock of going from a huge metropolis to a much smaller city but the proximity of everything was a definite plus. I continued up a street called Sarimiento, which was filled with outdoor cafes and shops. 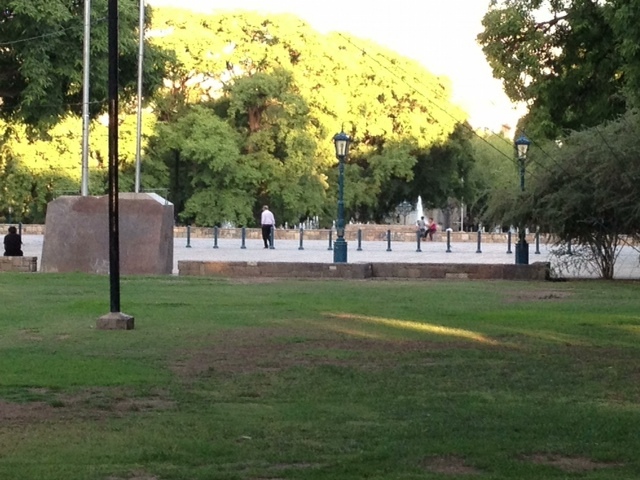 After about 15 minutes, I arrived at the Vines of Mendoza. It was clearly designed to handle the gringo tourist trade but thankfully not in a cheesy way. I had made a reservation to do the Boutique wine tasting, which was a sample of 5 local vineyards for only $75 pesos. There were other more expensive options, a reserve tasting for $250 all the way up to the crazy $650 level for the “5 best wines in Argentina.” To me, that screamed out “rich gringo who doesn’t know better” so I passed on that level. Plus, part of my goal was to get wines that I could never buy in the States. I took a seat at the slick, modern bar, with a flatscreen TV showing a video on a loop about Vines of Mendoza and was greeted by the very jovial Ezekiel, who was going to be my tour guide. He spoke perfect English and given my less than stellar state, I was glad to listen and speak in English for a change. 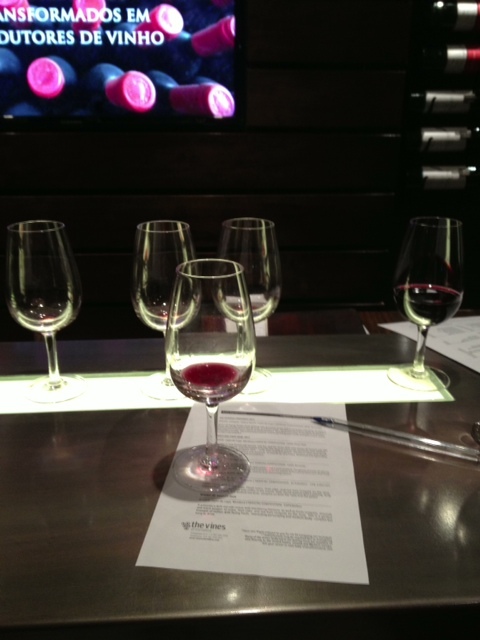 He explained the progression of the tastings – light to heavy – and the overall concept. Out came the tasting glasses and away we went! 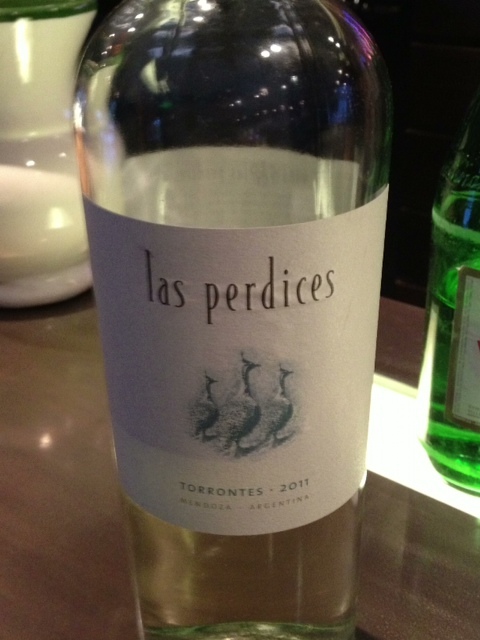 The first wine was a Torrontes from a very small vineyard based in Mendoza – Las Perdices. It was a bit lighter than the Torrontes I had been imbibing previously but still very nice and refreshing. 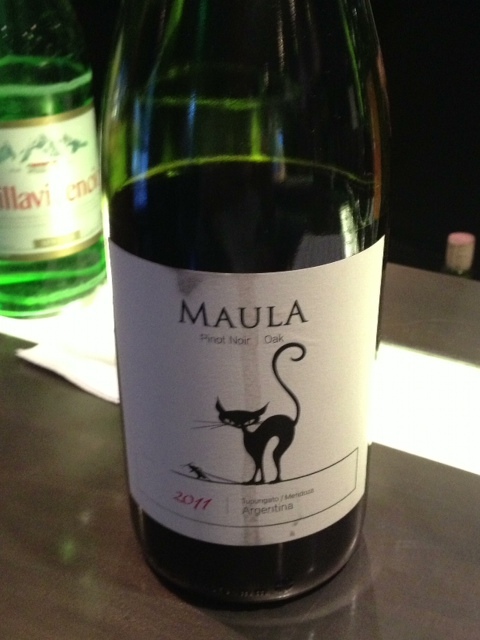 Next up was a Pinot Noir from another tiny vineyard and my favorite label I’ve seen in awhile – Maula. Ezekiel explained that unlike most of the Pinot Noirs around here, they used oak, which made it not nearly as fruit forward as most. Nothing too remarkable but I’d order it with a meal if I had the option. The 4th one was by far my favorite. 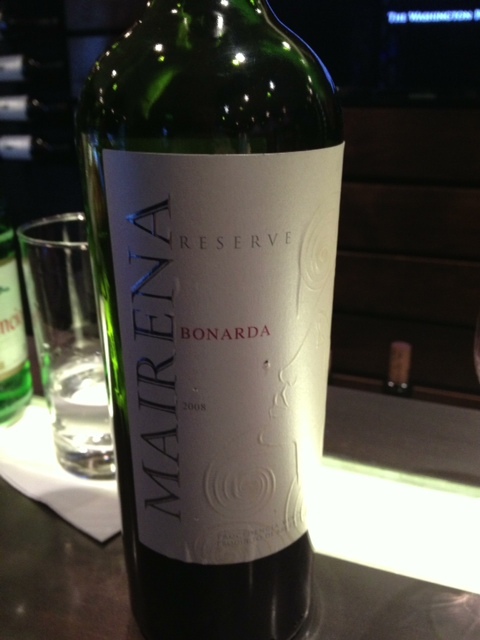 From another tiny vineyard called Mairena, it was a bold and rich reserve Bonarda. Given it was a bit aged – 2008 – it had a depth of flavor that was lacking in the previous two wines. I made a mental note to get a couple of bottles of this. The final tasting was finally a Malbec (there was another tasting option of all Malbecs but I wanted to try a variety.) 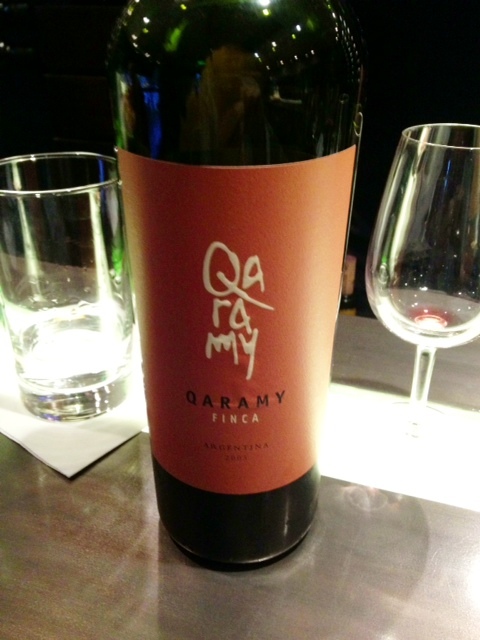 From yet another small vineyard, Qaramy, this was a very balanced and tasty Malbec, with a nice punch of flavor but not too overwhelming. I was enjoying the experience so much that when Ezekiel asked if I wanted another glass, how could I resist? I opted for a full glass of the other Torrontes they had, which he said was very different than the one I had in the tasting. He spoketh the truth. 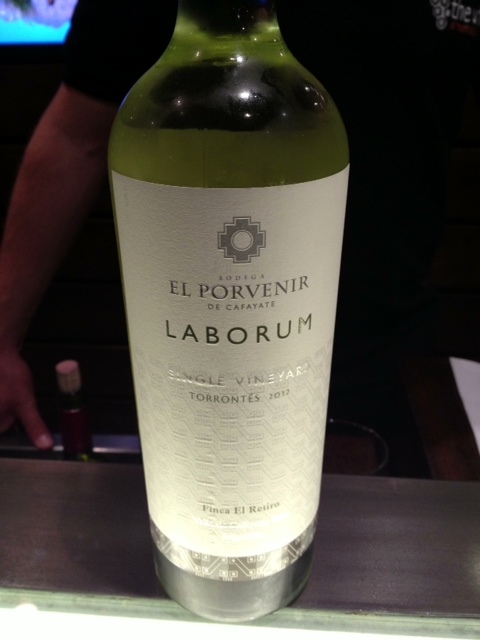 From a larger vineyard called Laborum, it had a bit more dept of flavor but still light and crisp. As I sipped on my wine, I noticed a fellow American traveler doing the reserve tasting. We started chatting a bit and next thing I knew, he was including me in his tastings. Originally from Oregon but having spent time in San Francisco and New York, he had been in Mendoza for a week. After a few more tastings, I invited him to join me for dinner at a place that had been recommended to me and enthusiastically supported by Ezekiel – Asafran. It was only 3 blocks away so we made the short jaunt back to Sarimiento. 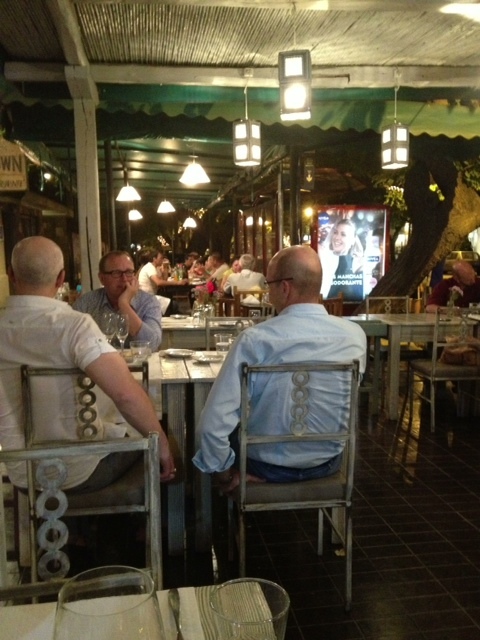 The weather had turned a lot cooler so we decided to get a table in their large outside section. The real reason I wanted to go there was their very cool concept of not having a wine list but instead select a bottle directly from their wine cellar. 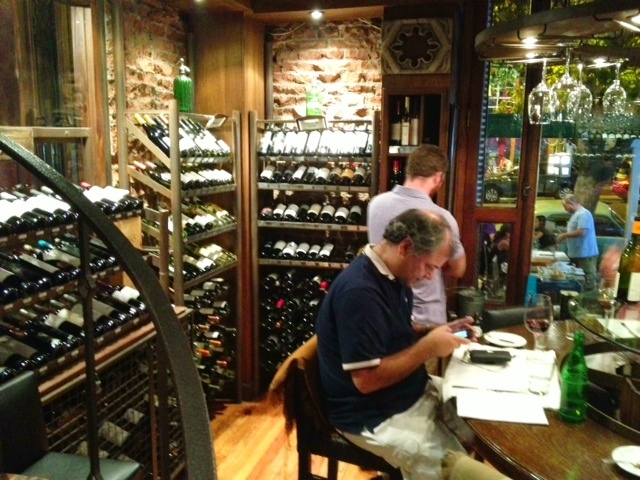 I asked to see the cellar and we were soon joined by the executive chef, Pablo, who asked us what we wanted to eat. Both of us wanted something lighter, so he suggested a Torrontes, which of course was perfect for me. Funny enough the first one he selected was the Laborum I just had. Wanting to try something different, he then recommended his personal favorite, Alta Vista. We made our way back to the table and our server brought out the perfectly chilled wine. We swapped notes about portenas (he had been in Buenos Aires as well) which of course included my Date from Hell story. He ordered a plate of camembert and fresh peaches for a starter. I’m not a huge wine and cheese fan but a couple of bites was a nice way to counteract the increasing volume of wine I was consuming. Pablo had suggested the Chilean salmon so I went with that. 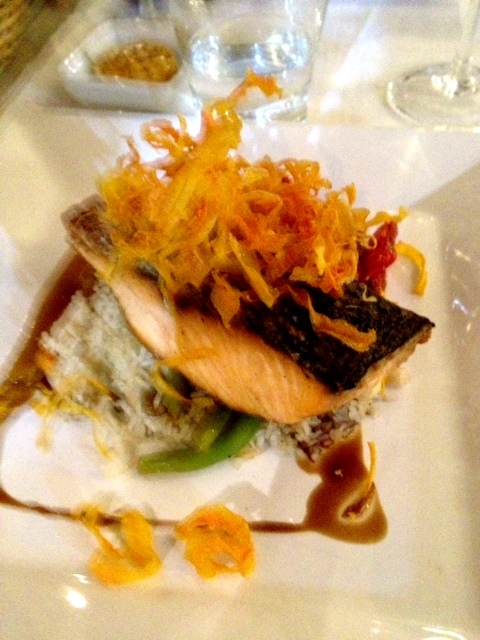 The salmon was perfectly cooked and had a great basmati rice bed underneath it. This is basically what my vision looked like by this point. We paid the bill and said our goodbyes. He was off to Colombia the next day for a wedding and we wished each other bien viajes. 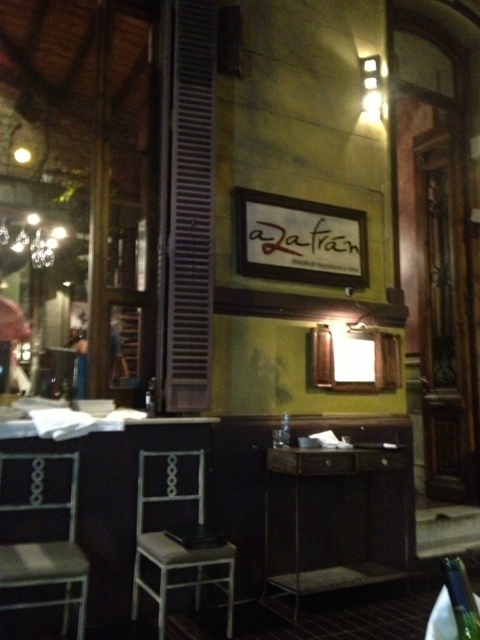 It was the perfect random evening that one experiences when traveling solo and a great way to continue my Mendoza trip. Posted on February 3, 2013 by reyalto. Bookmark the permalink.